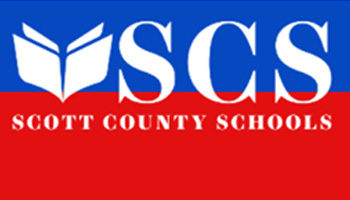 Georgetown is located in the heart of Scott County just north of the cross roads of I-75 and I-64, 10 miles north of Lexington. 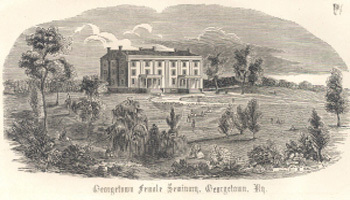 Georgetown was founded in 1790 by Baptist minister Elijah Craig. Reverend Craig is perhaps best known for his world famous invention, "bourbon" whiskey. Historic, downtown Georgetown is one of the most picturesque, Victorian downtown areas in Kentucky. Frisch’s Big Boy restaurant is conveniently located one mile north of Highway 75 off the Cherry Blossom Way exit at 460 Connector Road Georgetown KY 40324. Welcome to the Frisch’s family! 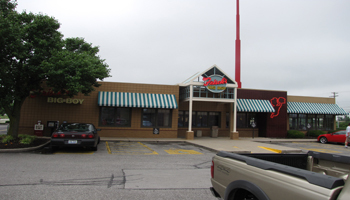 The employees at Frisch’s Big Boy in Georgetown, KY create an environment that supports Frisch’s vision to be the Best Place to Work, Eat and Own. At Frisch’s employees are provided opportunities to learn new skills and immerse in the values that has made this brand great for over 70 years. The food is good and there service is very good and a variety of food. Food was hot and fresh and the service was friendly and quick.